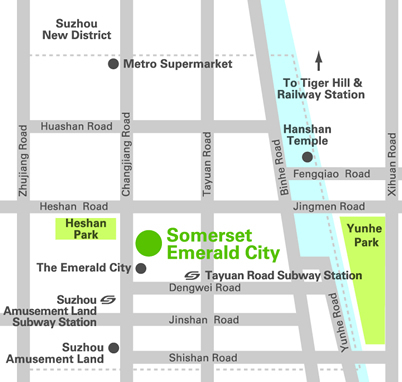 Somerset Emerald City is strategically located in the heart of the Suzhou New District (SND) – a state hi-tech industrial park with an extensive presence of Fortune 500 companies and multinational investments. It is situated on top of The Emerald City shopping mall, giving you instant access to a multitude of international fashion, dining and entertainment facilities. 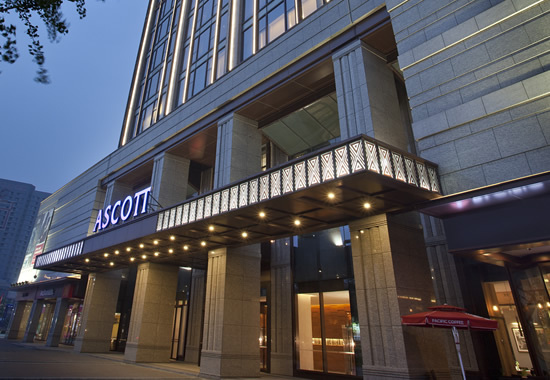 Nearby attractions include Hanshan Temple, Tiger Hill and the famous Suzhou Amusement Park, as well as UNESCO World Heritage classical Chinese gardens in the city. Designed to accommodate your every need, Somerset Emerald City offers a balanced lifestyle with a comfortable living space complemented by our extensive services and facilities. Our one-bedroom, two-bedroom and three bedroom units are stylishly furnished with contemporary décor and modern fittings, including a fully-equipped kitchen, HiFi system and LCD television with cable and satellite channels. Doing business in Somerset Emerald City is easy and efficient. With wireless Internet (WiFi) access and additional business support services and facilities in the Business Centre, you will have complete business connectivity in the comfort of your own home. Our recreational residents’ programmes allow you to meet people and network within your community. Gymnasium facilities are also conveniently provided on-site for you to relax and recharge. 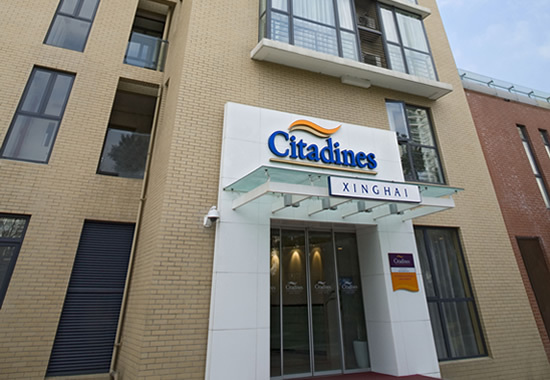 It is an ideal way for utive singles and couples to experience the culture of Suzhou while living in the security and spacious comfort of a serviced residence.